So, recently I’ve been feeling a little stressed out, as I’ve let my hectic lifestyle get on top of me. It’s ironic really because I always tell people how important taking care of themselves is, and here I am not taking my own advice. 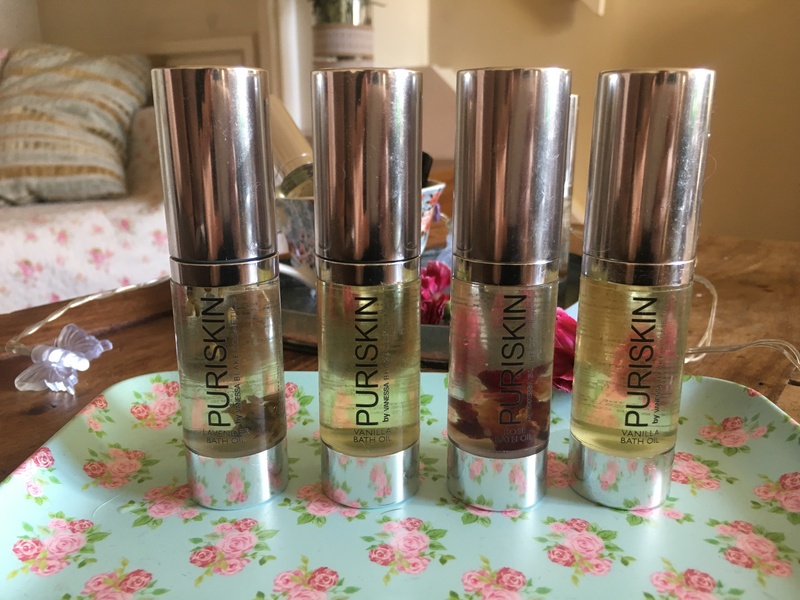 Anyhow, as I’ve been so stressed out, I was excited to receive a set of Puriskin Bath Oils and a Puriskin Sleep Suite from the lovely Marva, the founder of popular beauty brand, Puriskin. 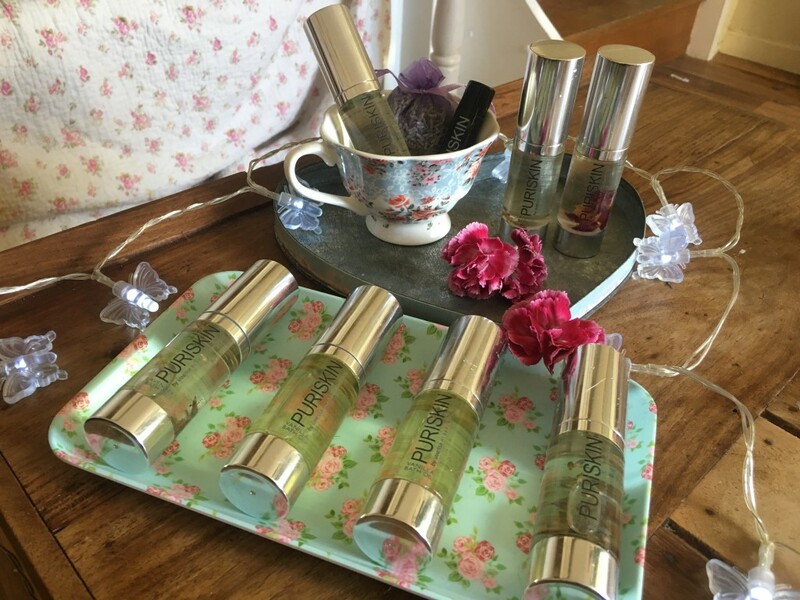 I’ve been in need of a good pamper, and as most of the products I was sent were lavender-scented, I knew that they’d be perfect to help me de-stress and unwind. 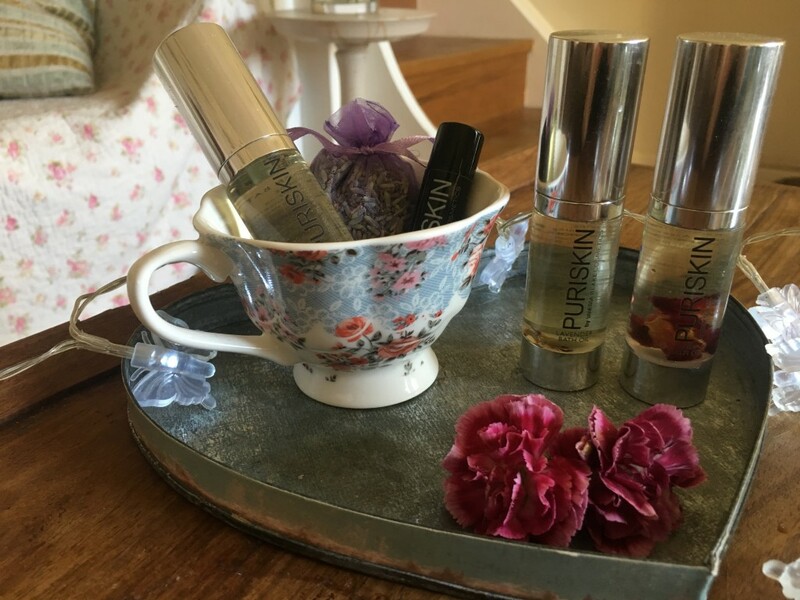 According to the Puriskin website, the Puriskin Sleep Suite set is designed to induce calmness and quiet the senses, promoting rest and relaxation. The high-grade lavender in each of the Sleep Suite products means that each item is blended to help you relax, and also to rebalance the sleep cycle perfectly. The combination of the Lavender Bath Oil, the Lavender Seed Pouch, and the Sleep Soothe works perfectly to calm the senses and aid relaxation. Sleep Soothe: I love, love, love the smell of the Puriskin Sleep Soothe, it smells incredible. Made up of a unique blend of Ylang Ylang, Marjoram, and Lavender oils, Sleep Soothe helps to clear the head and calm the mind, and it does just that. For best results, it’s recommended that the balm be applied to the temples, back of the neck and pulse points. I tend to pop a small amount of the balm onto my temples and the inside of my wrists about 20 minutes before I want to go to sleep. It’s incredible how immediately relaxed the balm makes me feel. I’ve noticed that whenever I use it, I not only drift off more easily but also tend to sleep more soundly. Lavender Seed Pouch: When I first saw the seed pouch in the Sleep Suite set, I presumed it was simply there for decoration. However, it turns out that this potently fragrant pouch, made of a blend of high grade lavender, has many uses to help relieve stress and aid relaxation. For an almost instant tension release, sniffing the pouch and inhaling deeply works well. To help increase your chances of getting a good night’s sleep, placing the pouch under your pillow can also work well. Another option is to wrap your pajamas around the pouch in the morning, so that they have a slight lavender scent when it comes to bedtime. This should help to relax you and induce a deep and restful sleep. Rose Bath Oil: I love the gentle floral aroma of this oil; it’s wonderfully sweet and subtle. I’m not really a fan of bubble bath but my favourite bubble baths to use have always been rose scented. So, for me, this oil is perfect. 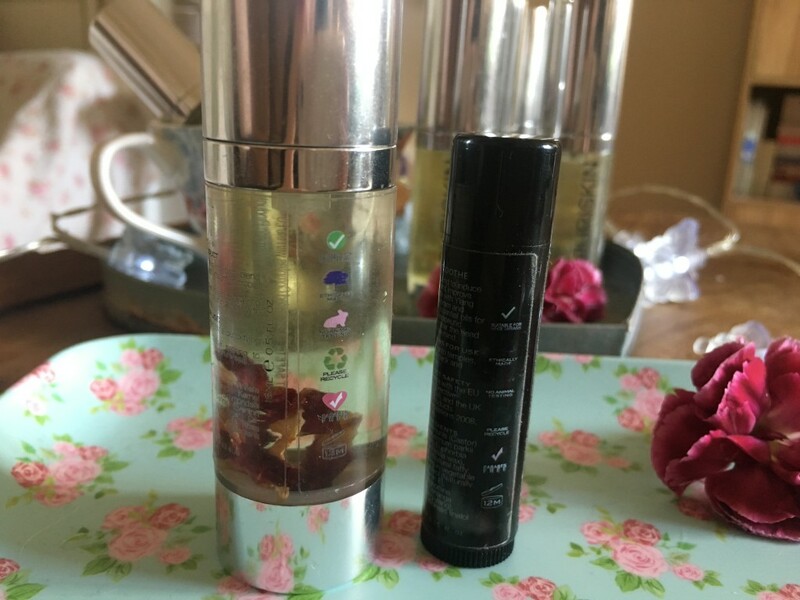 What I love about the Rose Bath Oil is that it’s incredibly rebalancing and nutrient-rich with antioxidant and anti-microbial properties for the skin. Rose oil is also able to deliver effective skin softening, protective cellular action, protecting the skin from free radicals. Vanilla Bath Oil: I am such a lover of vanilla. I drink it in my coffee, fill my home with vanilla scented candles, and now I use it in my baths. I love the subtle vanilla scent that the Puriskin Bath Oil has. It isn’t too overpowering like some bath oils can be. The scent is wonderfully sweet and delicate, and infuses wonderfully when the oil is added to running bath water. The Puriskin Vanilla Bath Oil not only smells incredible, it also has antioxidant properties and calming aromatic properties. Some studies have shown that when it comes to aiding sleep, vanilla can be just as relaxing as lavender. So, for a bedtime bath, it’s the perfect oil to add. I’m a real fan of Puriskin and their products because they’re all cruelty-free, which means that they don’t test on animals. They’re also paraben-free, ethically made, vegetarian-friendly, and all of their packaging is recyclable.